Joe Manchin's projected win in West Virginia Tuesday night came despite a major effort on the part of President Donald Trump -- and his family -- to flip his Senate seat. Both Lara Trump and Donald Trump Jr. frequently visited West Virginia to stump for Republican Senate candidate Attorney General Patrick Morrisey and congressional candidate Carol Miller. Trump Jr. was campaigning in the state with Kimberly Guilfoyle as recently as Monday, and the president held five rallies in West Virginia in an effort to turn a state he won by 42 points red all the way. Despite Trump's popularity in the state, Democrats kept a key Senate seat. At Trump's most recent Make America Great Again rally in Huntington, West Virginia, the president seemed almost resigned to a Manchin victory. "We'll go to dinner with him, we'll take him out, we like him, but he's never going to vote for it, so I just want you to remember that, OK?" said Donald Trump, almost with a shrug. Supreme Court Justice Brett Kavanaugh's confirmation ended up playing an important role in the Senate race. At a rally, the president recalled unreported details of a phone call with Manchin in which he asked him to cast his Kavanaugh vote ahead of Republican Sen. Susan Collins of Maine. "I said, 'Joe, vote before. Don't vote after. Vote when we need your vote, not just because it's good for you in West Virginia,'" Trump said. Manchin voted after. 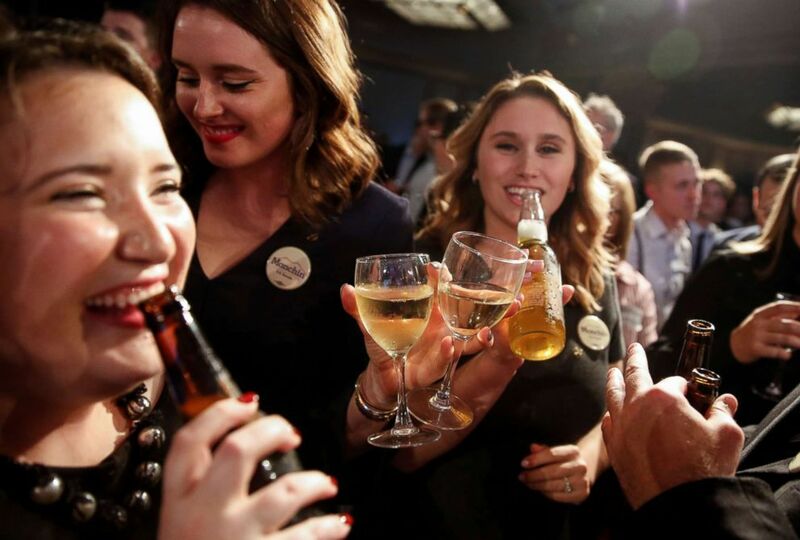 Supporters of Senator Joe Manchin celebrate after he won the 2018 midterm election in Charlestown, W.Va., Nov. 6, 2018. When asked by ABC News how his role in Kavanugh's confirmation played out with his constituents, Manchin said, "People understand I did my job." In a socially conservative, largely anti-abortion-rights state, Manchin's last-minute -- and, critics said, calculated -- vote may have made a big difference. But it also played a role in West Virginia's 3rd Congressional District, where it's projected that Republican state delegate Miller will win. Trump's many visits to the area made an impact in the congressional race, too. Democrat and former Trump supporter Richard Ojeda got national attention with his passionate campaigning and authentic style. As a pro-union veteran who could dance between Trumpism and old-school Democratic politics, Ojeda showed how to campaign as a Democrat in Trump country but, in the end, didn't prove how to win in Trump country. Trump was on the ticket even if his name wasn't. Morrisey stuck to Trump's playbook by railing against Hillary Clinton, Nancy Pelosi and Chuck Schumer. Those familiar rallying cries, while popular at Trump rallies, just didn't register with voters when it came from Morrisey. 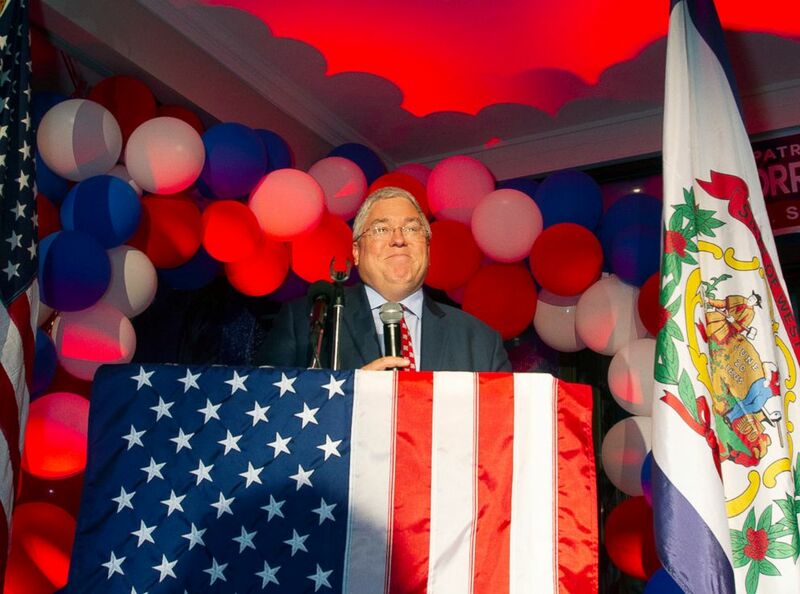 West Virginia Republican Senate candidate Patrick Morrisey gives his concession speech in Martinsburg, W.Va., Nov. 6, 2018. Morrisey lost to incumbent Sen. Joe Manchin. Manchin, on the other hand, had a lukewarm relationship with the president, and issued videos welcoming the president to the state each time he came to stump against him. Similarly, in the 3rd District House race, Miller carved herself from Trump's mold. While avoiding media appearances, she would produce commercials claiming she was "pro-gun, pro-life and pro-Trump." Ojeda said that even though he didn't agree with the president all the time, he was willing to work with a man he once voted for. The issue of healthcare and protecting pre-existing conditions also played an important role in the 2018 midterms in a state with much of the population requiring Medicare or Medicaid, as the state continues to struggling with a devastating number of opioid overdoses. In the end, Manchin's win very well may have come down to personality in a small, rural state where everyone knows each other, and they knew Manchin from his time in the Charleston governor's mansion. After delivering Trump a landslide victory, West Virginia forever may be tethered to Trumpism, but ultimately, as the state's slogan goes: "Mountaineers are always free."